1. Introducing the solar-kini – A designer has created a bikini with embedded solar panels that can charge your mobile technology while your sunbathe. The cards had a five-by-five grid of vague “hot words” and scenarios that often come up in cold reading, a term used to describe how it’s possible to elicit information from people without their knowing it. Mentalist Mark Edward also weighed in on this story here. 3. Hundreds of Mormon ads appear in NYC – Maybe this is just a really elaborate campaign to promote the Broadway musical, The Book of Mormon, but something tells me not a single one of these ads mentions the Mormon home planet of Kolob. Maybe if Mormons were a little more honest about their beliefs and practices, more would trust them more and they wouldn’t need the improve their image. And if you’re embarrassed by your own beliefs, maybe you should change your beliefs. Just a thought. 4. 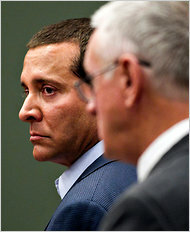 Self-help guru James Arthur Ray convicted in sweat lodge deaths – He was found guilty of negligent homicide in the deaths of three of his followers during a botched sweat lodge ceremony. 5. More proof that reality TV is not real – I’ve worked in reality TV, so I don’t need convincing. 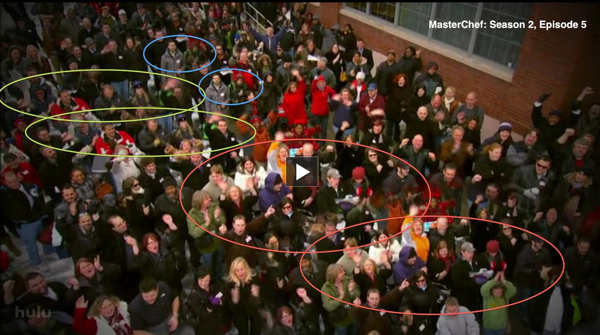 But for those who aren’t convinced yet, the opening to “MasterChef” featuring a crowd of allegedly thousands of applicants has been exposed as a clumsy Photoshop job that just pastes the same groups of people multiple times. This entry was posted on Friday, June 24th, 2011 at 12:30 am and is filed under Cults, Future Technology, General Skepticism, News From Around The Blogosphere, Psychics, religion, What's The Harm. You can follow any responses to this entry through the RSS 2.0 feed. You can leave a response, or trackback from your own site. Say NO to Solarkinis! They place a lower limit on the size of the bikini!